Also called a photovoltaic cell, a device that converts light directly into electricity. Also called a photovoltaic cell, a device that converts light directly into electricity. When light hits a film of semiconductor material, usually silicon, it releases electrons in the silicon that can then be used to generate current. The efficiency of solar cells is improving as technology develops, and is currently around 30%. When light hits a film of semiconductor material, usually silicon, it releases electrons in the silicon that can then be used to generate current. 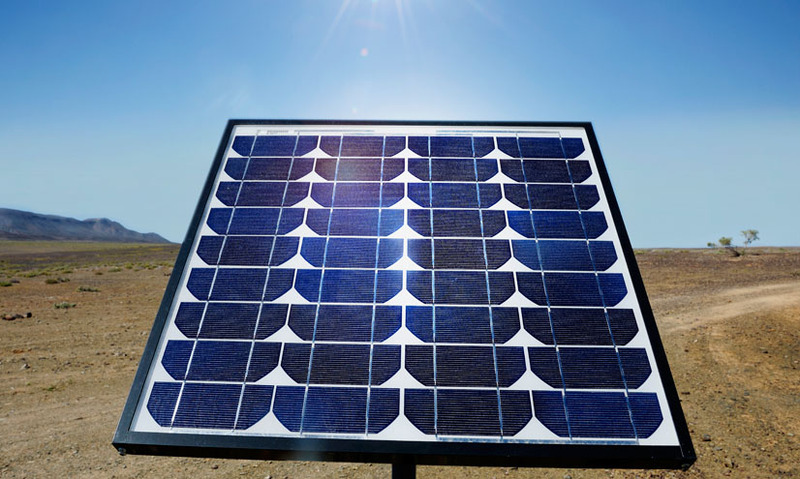 The efficiency of solar cells is improving as technology develops, and is currently around 30%.